By Dave Vieser. The Town of Cornelius has a new $19.7 million budget, 7 percent larger than this past year, but the tax rate stays the same, thanks to a growing tax base. Indeed, the town’s total assessed value will exceed $5 billion in the coming year. The Town Board passed the budget unanimously Monday, and commended staff for a job well done, in front of a large audience. But they were there for a Widen I-77 presentation, not to see how their tax dollars are spent. The vote followed a 30 minute presentation by Town Manager Anthony Roberts which focused on many of the capital improvements included in the budget, including road improvements, greenways, sidewalks, park projects and a new ladder truck—costing some $850,000—for the Cornelius Volunteer Fire Department. With its adoption, this marks the fourth consecutive year that the town’s tax rate will be 24 cents per $100 of assessed valuation, the lowest tax rate in Mecklenburg County and one of the lowest in the state among similar size municipalities. Growth in the tax base helped fund the 7 percent spending increase. “As a town, we benefit enormously from 70 miles of lake coast line within Cornelius with quickly escalating property value. Accordingly, we have maintained the lowest tax rate for a town our size in North Carolina for many years. Critically, we must never take this fundamental advantage for granted, but rather maintain operating cost discipline and focus development of what little available land remains on non-residential, local job-creating business opportunities,” said long-time Town Commissioner Dave Gilroy. The commissioners awarded a $162,202 contract to the Oliver Paving Company which will be used to complete the ten foot wide multi-path walkway connecting McDowell Creek Greenway to Kenton Place. “Currently, there are two sections of multipurpose path missing on the north and south side of Robbins Park” said Project Manager Tyler Beardsley. 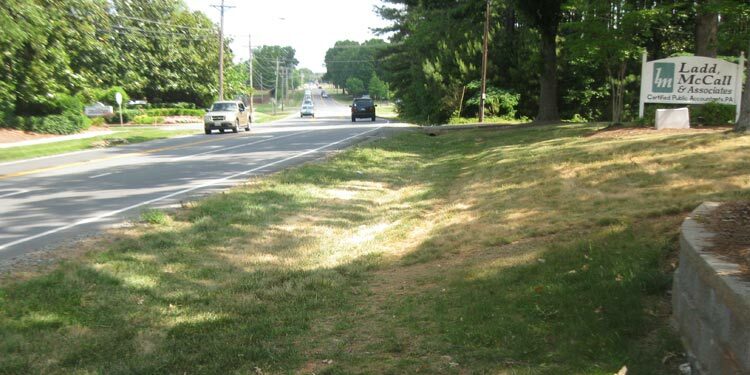 “This project would fill in those gaps creating a continuous path from the McDowell Creek Greenway to Kenton Place.” Oliver Paving, based in Charlotte, was the lowest responsive bidder for the project. The town board also awarded a $148,580 contract to JD Goodrum Construction of Cornelius to perform restroom building expansion and renovations at Smithville Park. This project is being funded through the voter-approved 2013 Park Bond Referendum.